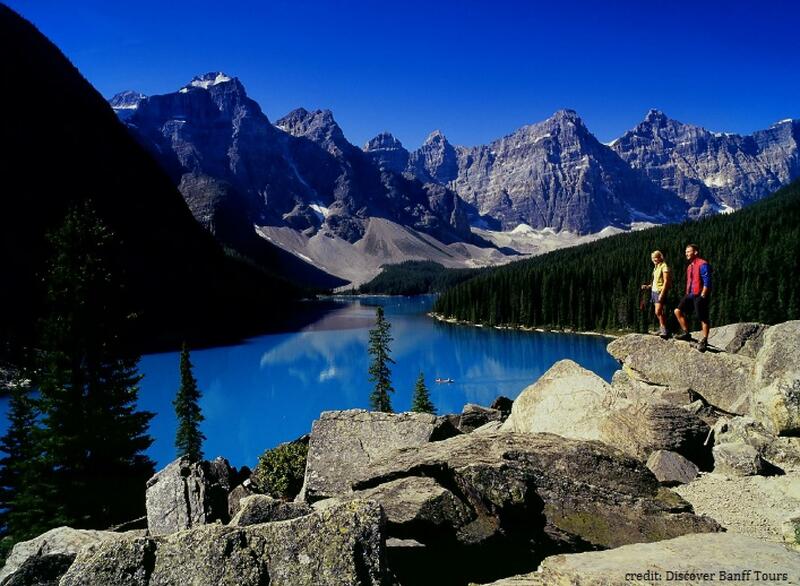 The beauty and splendour of the Canadian Rocky Mountains is a sight you don’t ever want to miss in your lifetime! 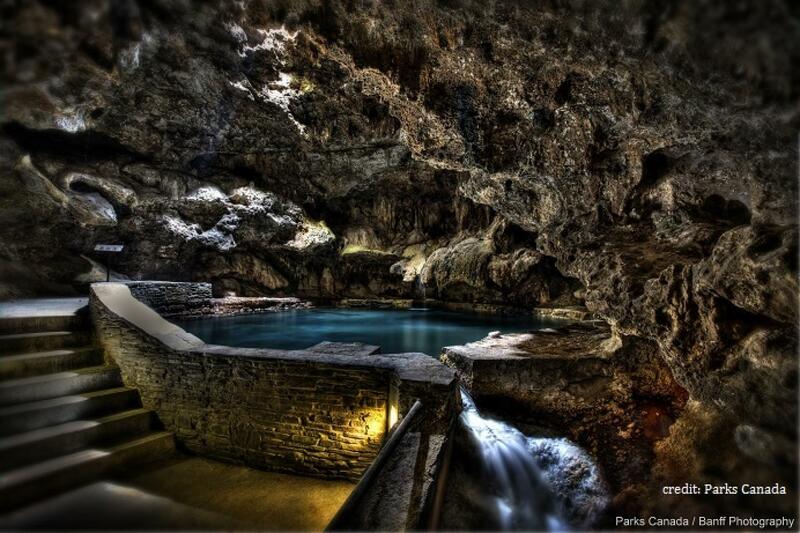 See the most breathtakingly beautiful scenery you can ever imagine! 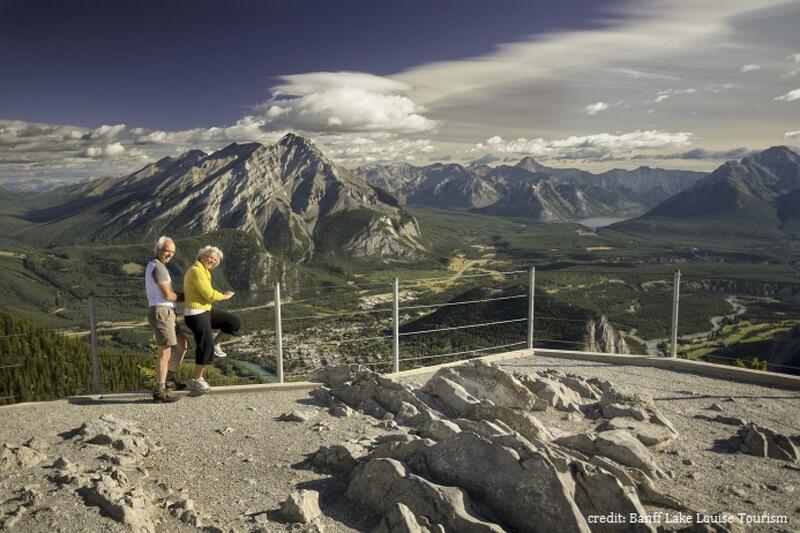 This tour will bring you into the national parks of Banff and Jasper – both of which are part of the Canadian Rocky Mountain Parks, designated as a UNESCO world heritage site. 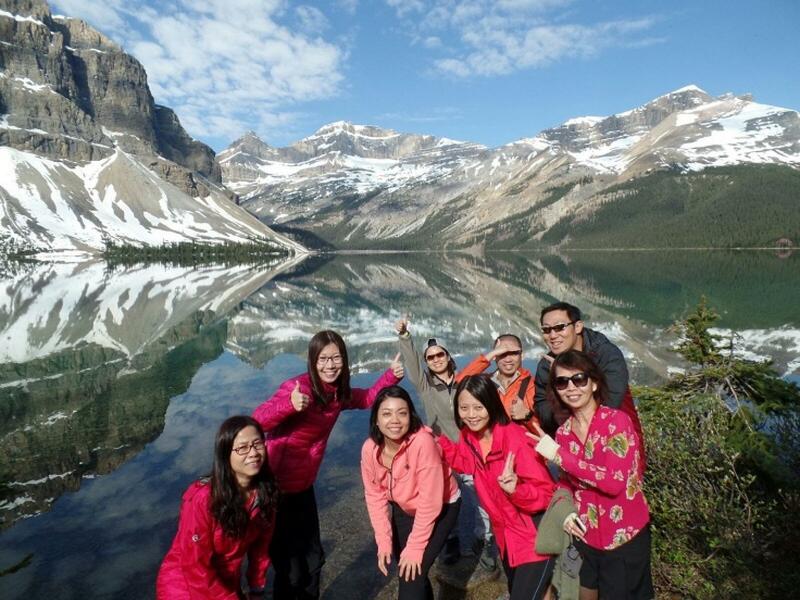 For 9 epic days, you will feast your eyes on magnificent mountain vistas, glorious valleys, spectacular glaciers, pristine alpine lakes, stunning canyons, brilliant waterfalls, and tranquil meadows. 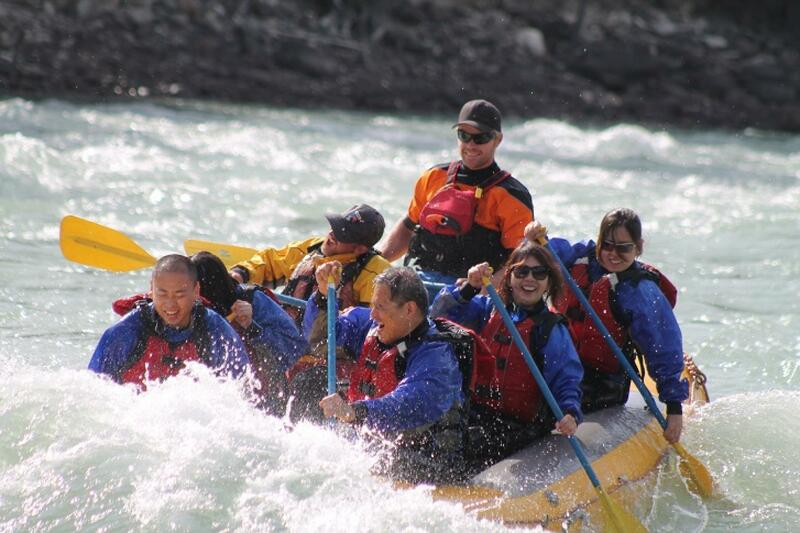 You will be thrilled by the experience, as you walk, canoe, hike, cruise, observe, ride, climb, crawl, and paddle in this mountain wilderness, through the adventure activities offered on this tour. 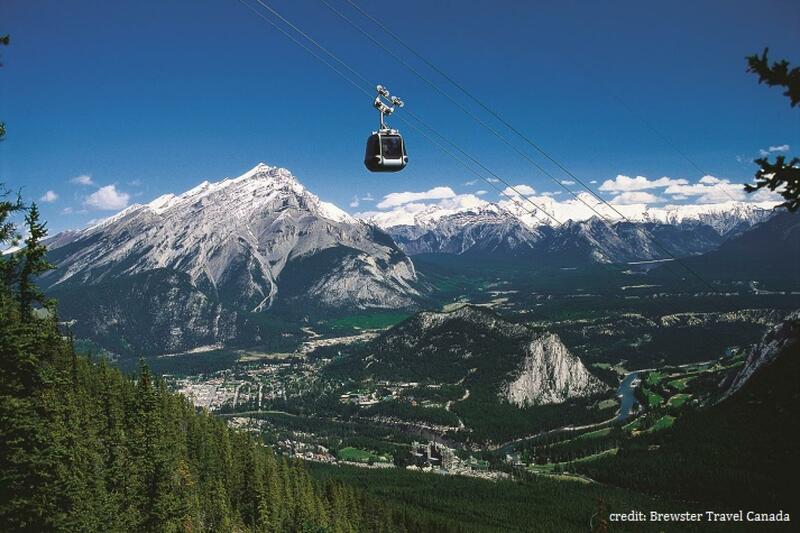 This is the ride on the Banff Gondola up to Sulphur Mountain where you will be transfixed by magnificent mountains vistas. 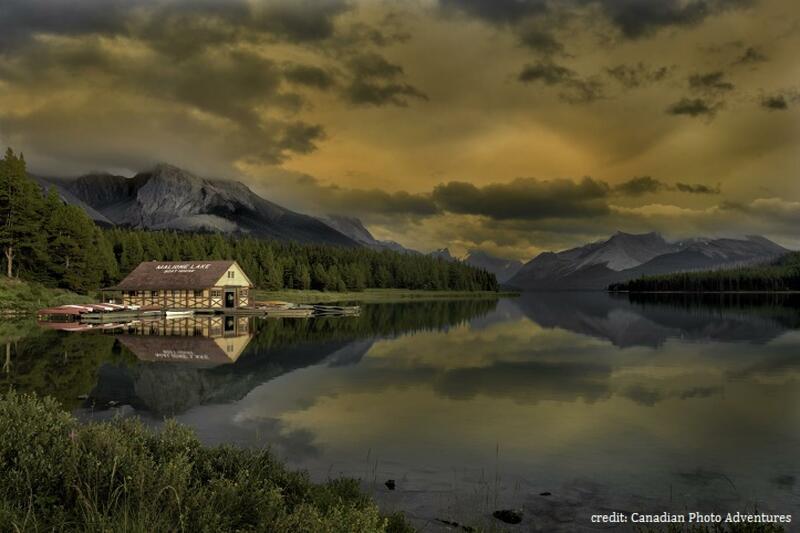 One of the very first things you do when you arrive to stay in the beautiful town of Banff. "Wow, this view is so unreal!" - trust me, this is what you'll say everyday and everywhere you go during your tour! This is the very spot of the discovery of a hot spring that led to the birth of the first national park in Canada in 1885. 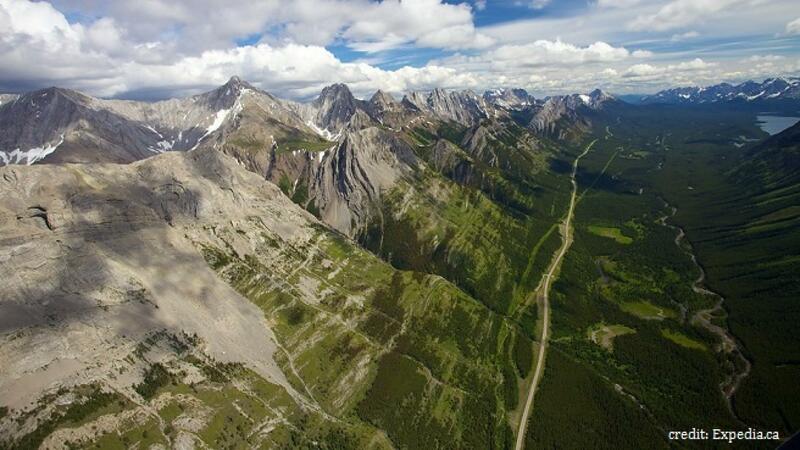 One of the world's most scenic drive from Banff to Jasper. 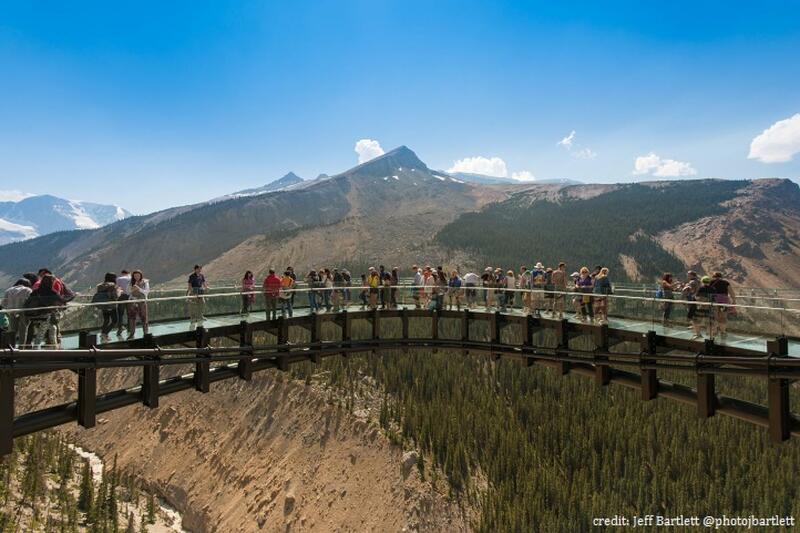 Numerous stops along the parkway for fantastic views of mountains, valleys, lakes, waterfalls, canyons, rivers, and glaciers. 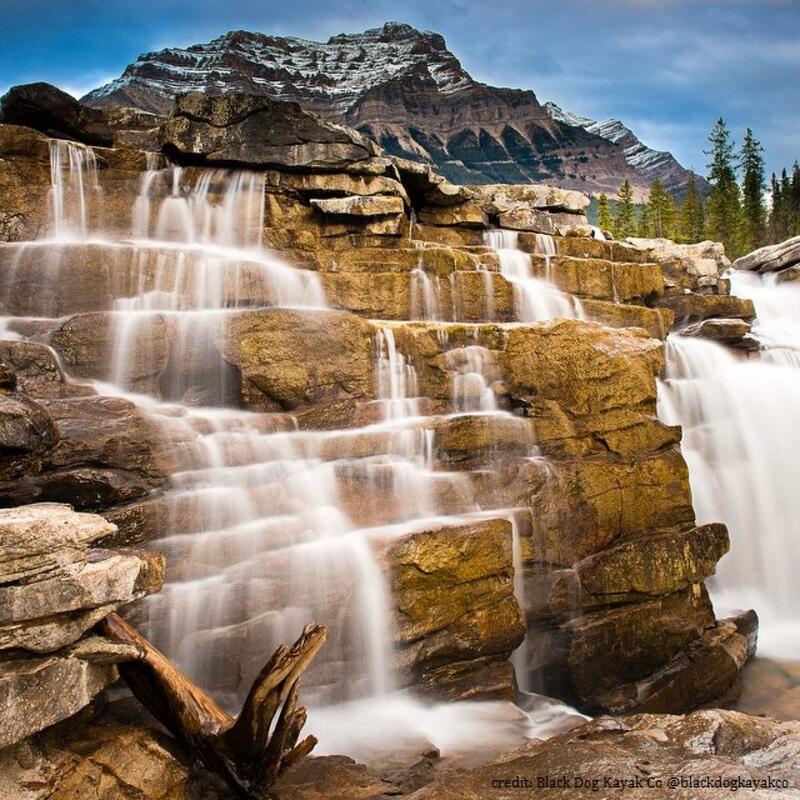 One of the stops along the Icefields Parkway to catch this brilliant waterfall. 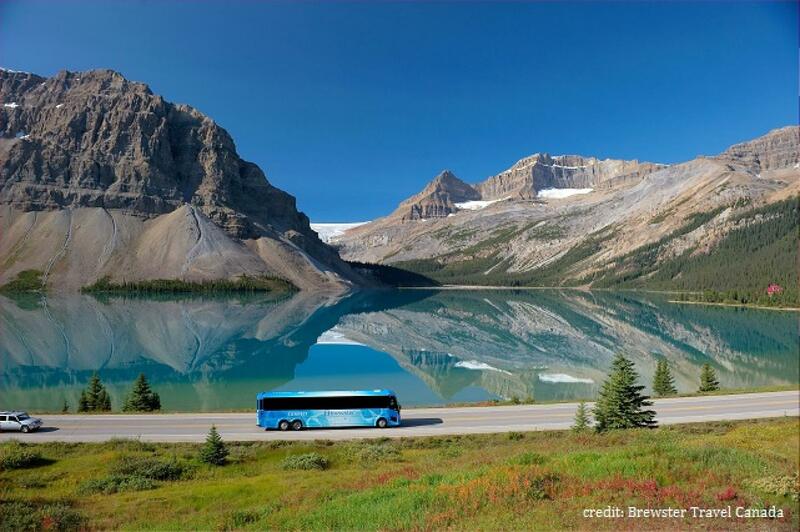 Main stop on the Icefields Parkway. The tiny buildings and carpark in the foreground - that's where you board the Ice Explorer and the SkyWalk tours. 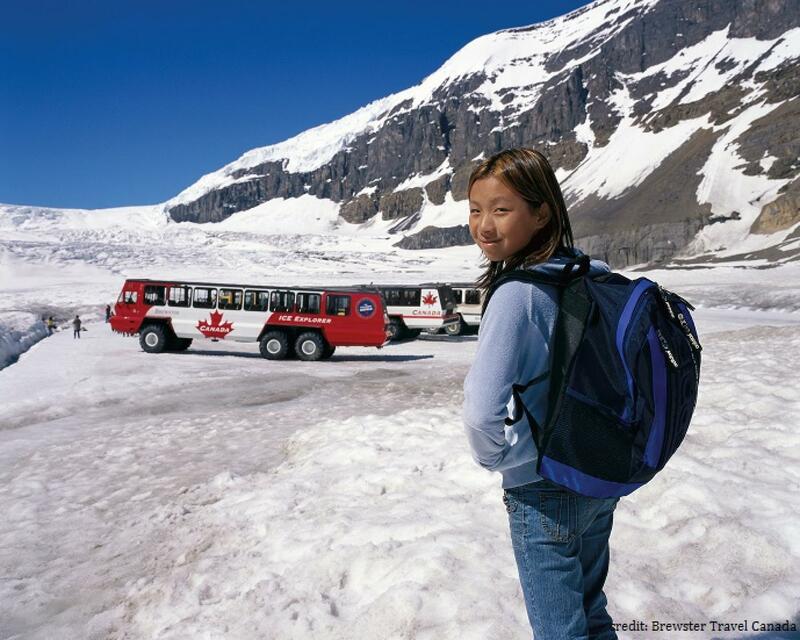 Those buses with the gigantic tyres will take you right up to the Athabasca Glacier. 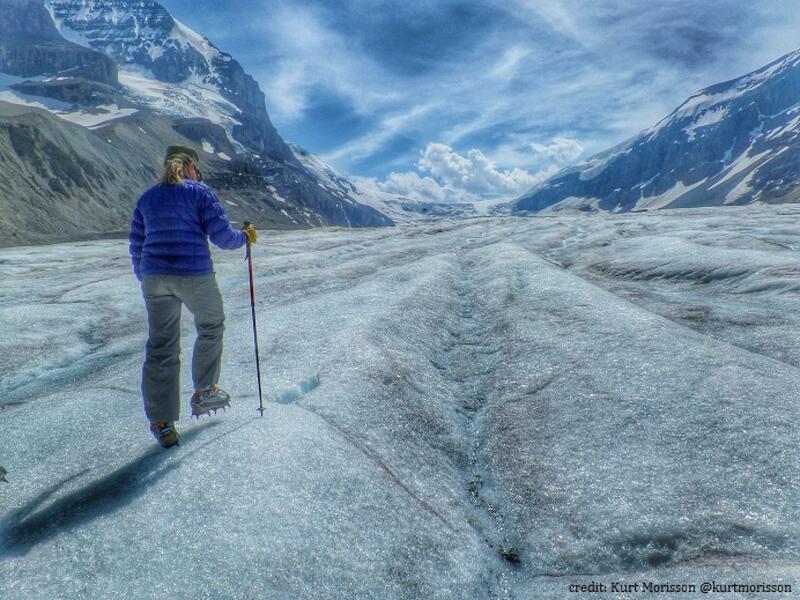 A much more interesting and exciting way to get onto Athabasca Glacier is to walk onto the glacier with a qualified Mountain Guide. The guided tour comes with all equipment needed to walk safely on the ice. 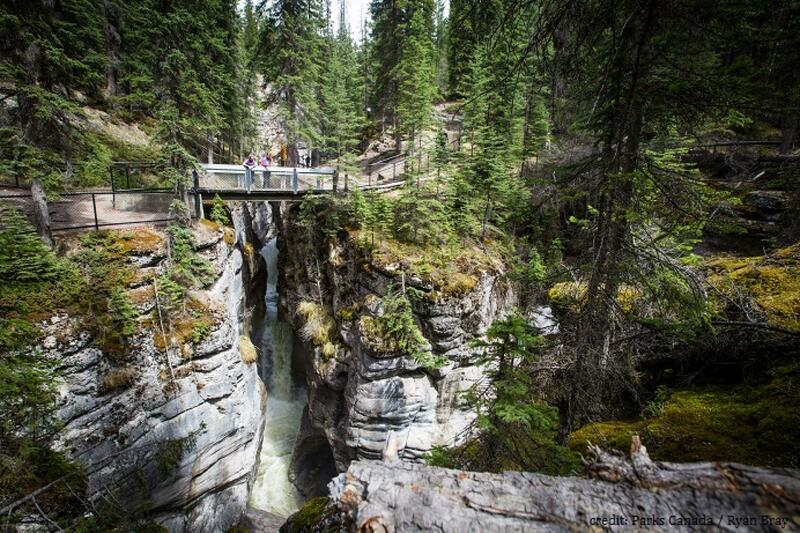 On the day after you arrive in Jasper, you will go on a guided tour of the Malign Valley with a chance of watching wildlife, a walk around the Malign Canyon, a stop at Medicine Lake, and finally Malign Lake, where you will board a cruise heading to Spirit Island. 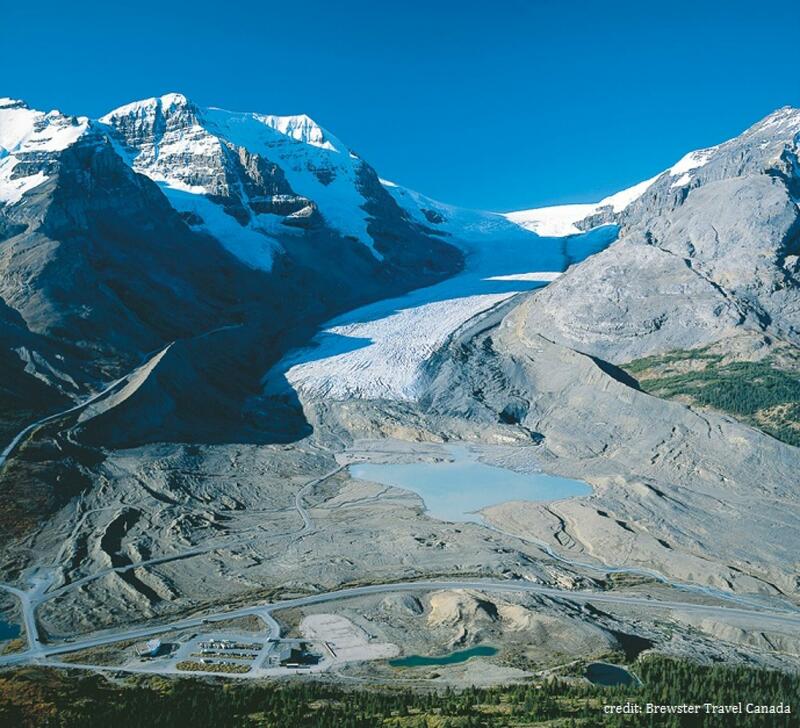 This hike is an option before or after the Malign Valley tour. 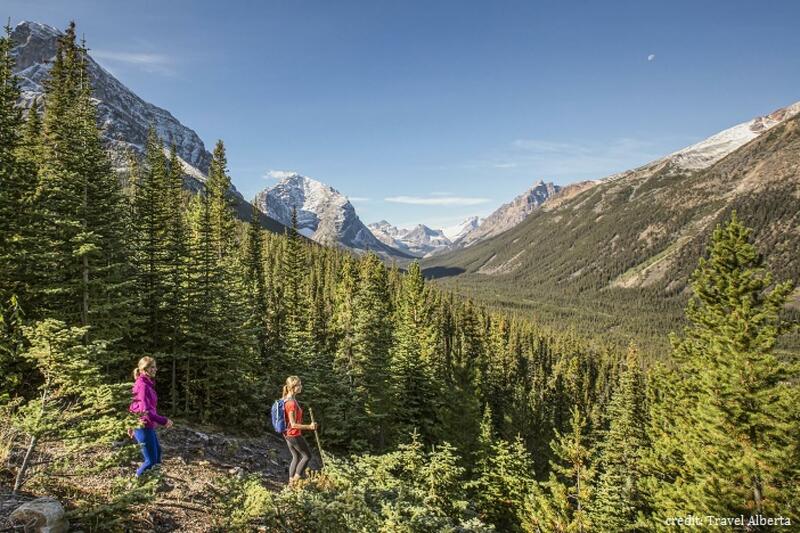 A summer mountain adventure won't be complete if you don't get a chance to camp outside! After we leave Jasper, we will head back towards Banff to begin our 3 nights of RV camping at a campground. Spills and thrills for the Singapore group in May 2016. "Waaah, SO FUN! I WAN!!!" IMHO, the most commercially photographed lake in the world! See it for yourself in it's best time of the year - SUMMER! 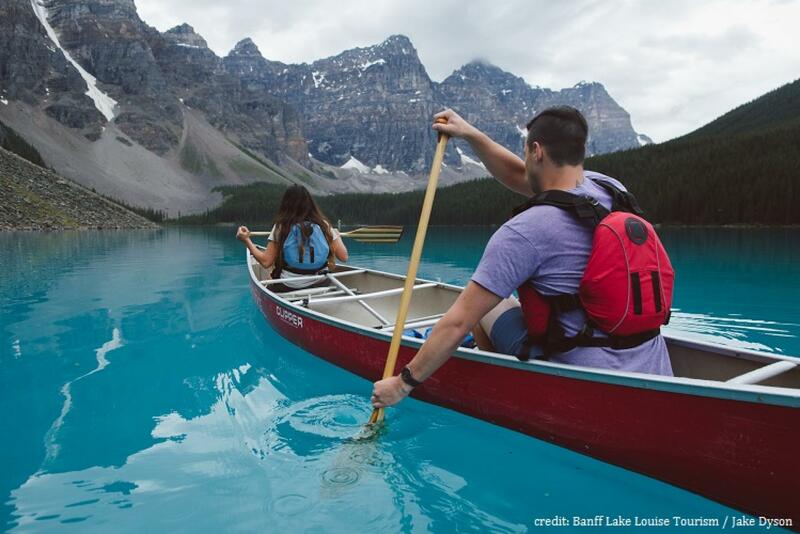 Better still, immerse yourself into the tranquility of the lake with a calming canoe ride. 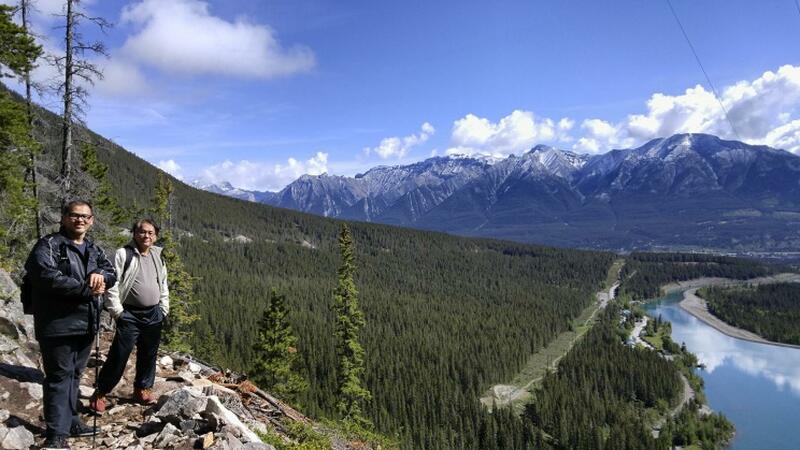 Take a short hike up the Moraine Lake Rockpile Trail to view the lake from this point - the top of a huge rockpile. 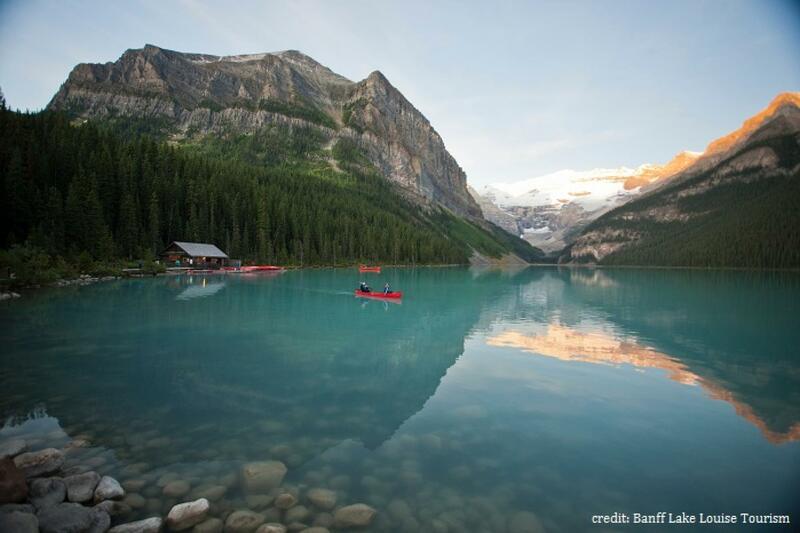 Or view, touch and feel the lake up close on a canoe ride. One of the options on your last day of the tour. 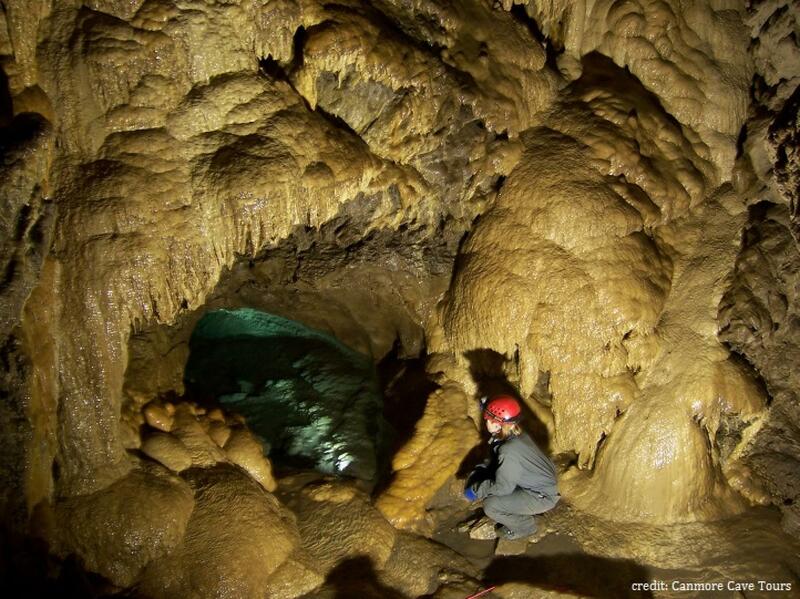 Get to crawl, climb, and squeeze through this labyrinth of a cave in Canmore - The Rat's Nest Cave! 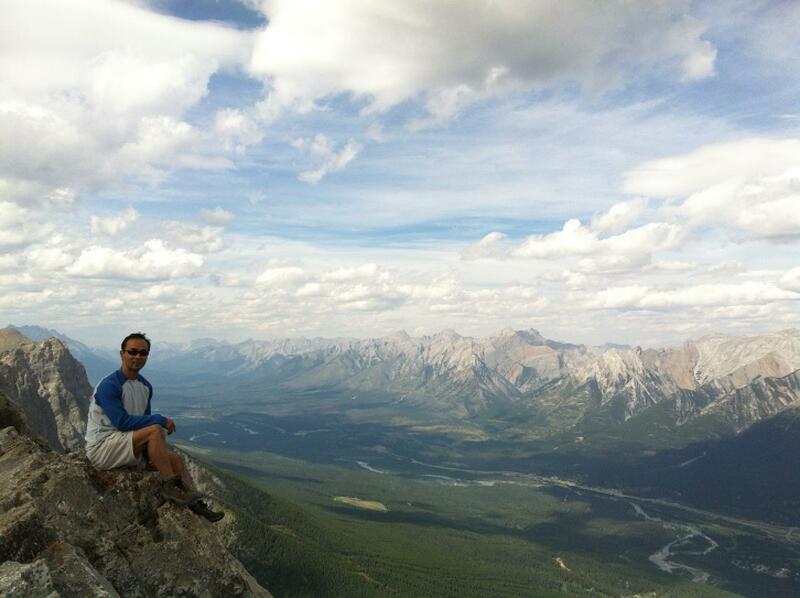 Another option on your last day - take a hike to the summit of Ha Ling Peak OR take an easier hike to Grassi Lakes. Day 1: Arrival at airport, transfer to hostel in Banff, 1.5h away. 2-night stay. Check-in to hostel in Jasper in the evening. 2-night stay. Check-in to campground. 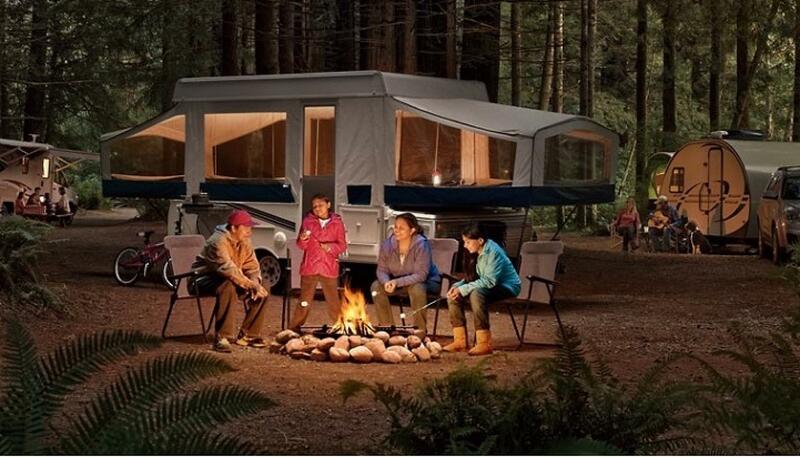 RV camping: 3-night stay. Day 9: Check-out of hotel, head to airport terminal. This tour will begin on 29 June and end on 7 July 2018 (9 days / 8 nights) in Calgary, Alberta. Due to the travel between time zones, and the long hours of flight, your length of time away from Singapore will be 19 to 27 July (or 28 uly in the early hours of the morning). We will advise you of the recommended flight to book in due time. The price range is the best estimate for the tour from 4 to 12 persons. After RSVPs have been received and participants for the tour has been confirmed, the actual price will be calculated based on the number of participants, RV camping and extra rooms if required. The tour will only proceed when a minimum of 4 persons has paid in full. The maximum number for the tour is 12 persons. Please place a deposit of SGD 1,000 by 10 March 2018 to confirm your booking. Deposits are used to secure accommodation and tour bookings as soon as we received them. As such, we will not be able to refund you the deposit once payment for these bookings have been made. Full payment has to be made by 31 March 2018. Hostels have mixed gender dormitories with 10 to 44 beds or bunkbeds in each dormitory. The hostel in Banff has free breakfast. There are lockers provided and free wifi in the Banff hostel. Everyone in our tour group will be placed in the same mixed dormitory, but where there are female dormitories available, then the ladies in the group may choose that option. The dormitory will have other hostel guests, depending on the size of the dormitory. There are common bathrooms and showers in the hostel or within each dormitory unit, depending on the hostel. Three Quad-sharing RV units will parked side by side at the campground. Each RV has one Queen-sized bed, and two Single beds, Or two Queen-sized beds. Depending on the gender configurations for the tour, we may have to exclude some of you from the joy of outdoor RV camping and put you up in a hostel. Volunteers for this arrangement, if needed, are welcomed. Twin sharing rooms with 2 beds. You can upgrade your hostel accommodation to a Twin-Sharing or Quad-Sharing hotel room depending on the availability of rooms in the hotel, the preferences of the other participants in the group, and the room configurations. Please communicate to me by email or whatsapp me if you want an upgrade. Once I have consolidated the number of upgrades requested, I will inform you of the extra charges required for the upgrade.